The ultimate wagon for the professional contractor, the ZX series features SpeedSharp knife sharpening system. This innovative system takes only 4 minutes to sharpen and reposition the knife bed within the machine. 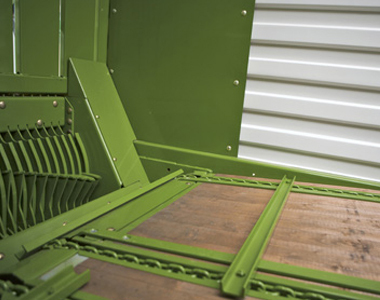 The Camless EasyFlow pick-up has 60% fewer moving parts resulting in quieter running and reduced wear while the crop feer roller eliminates the risk of crop pushing in uneven swaths. The pneumatic pivoting guide wheels provide great height control ans adaptability to suit all conditions. They eliminate the risk of scuffing and provide excellent turf protection. The pick-up pivots in both its mountings to provide full ground contour following for the cleanest of pick-ups. The large 880mm V shaped rotor ensures the smoothest of crop flow and most powerful of cuts. The drive power to the rotor flows through oil-immersed spur gears. The driveline is maintenance free and can handle the highest of loads. 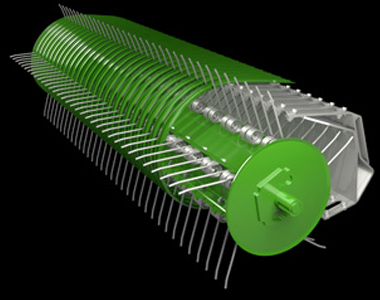 The knives scissor like cut technique limit crop slipping while the crop is cut down the full length of the blade, allowing the rotor run more efficiently and quieter. Select between 0,23, or 46 knife sets in you wagon depending on desired chop length. 74mm for 23 knives and 37mm for 46 knives. The knife back simply lowers and swings out to the left side for easy access when changing knives for greater operator convenience. 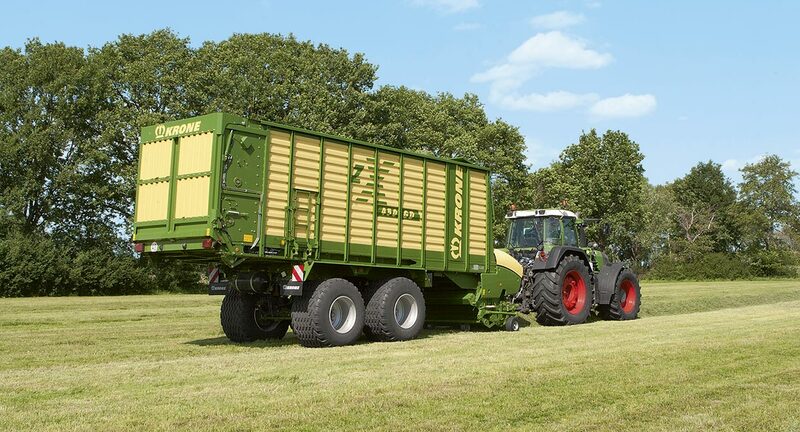 Equipped with a tandem axle on large 800/45 R26.5 tyres you can ensure the smoothest of rides that offer great stability especially in those hilly paddocks. Optional scales allow you to know the weight for each load to better charge customers or know the volume harvested on your farm. 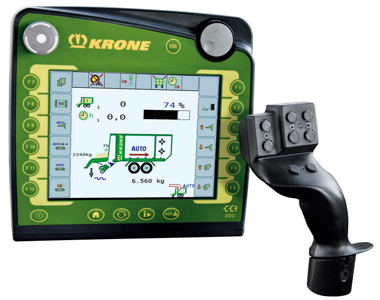 Standard with a Krone CCI 200 isobus monitor so you can track all of you machine functions on one screen. 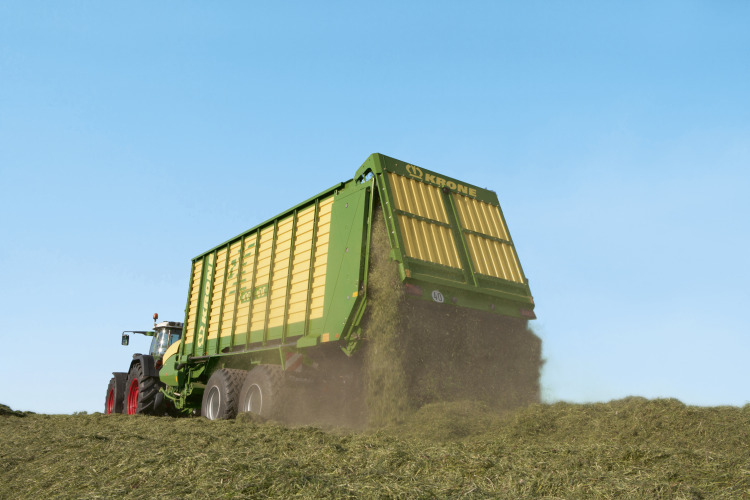 Automatic loading system uses a pre compression sensor to test the fill levels, when levels are reaches the floor will automatically start moving material to the rear ensuring consistent crop feed. Equipped with four high tensile chains that are tensioned mechanically ensure swift unloading. The chain-and-slat floor slopes at the front to reduce the length of the passageway increasing efficiency for easy loading. 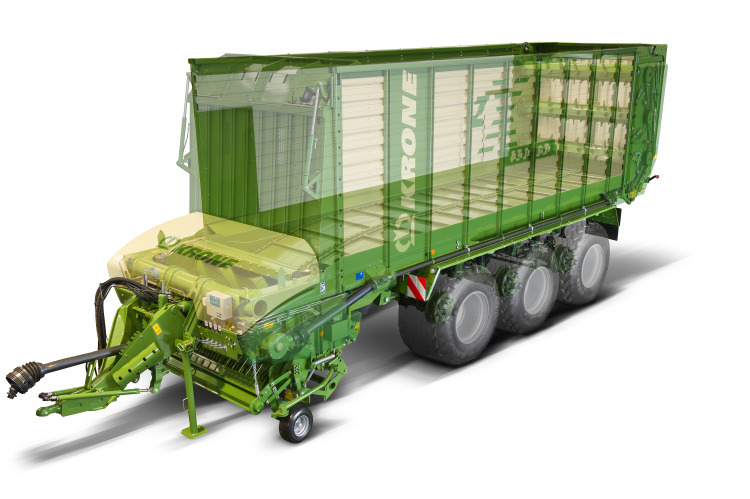 The large double rotor beaters (GD Models only) allow for fast and easy unloading on the go. Rear beaters are protected by the main tractor PTO shaft clutch instead of an individual beater clutch, an optional third beater can be fitted. Comprised of sturdy steel walls the multi purpose wagon can also be used to chop into.